Cult fans will be excited to learn that Danai Gurira has been confirmed to star in Marvel’s upcoming Black Panther. One of the many exciting developments gleaned from this year’s San Diego Comic Con, the news that Gurira would be joining the already impressive cast including Chadwick Boseman, Michael B. Jordan and Lupita Nyong’o was announced at Marvel’s SDCC panel, and confirmed by a number of online sources. 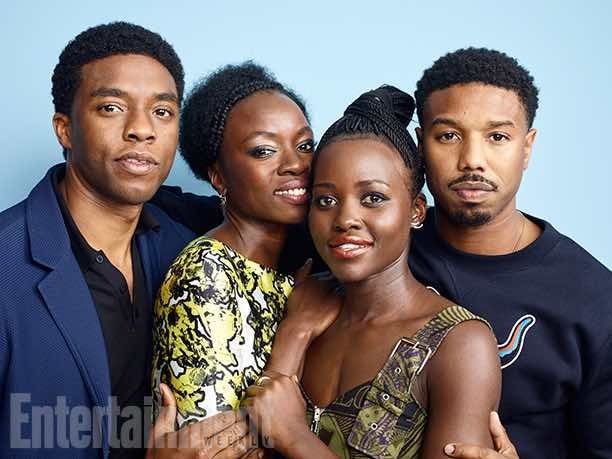 Lupita Nyong’o, Michael B. Jordan and #TWD’s Danai Gurira are here, all in the Panther Cast. According to The Hollywood Reporter, Gurira – who’s best known for the role of sword-wielding Michonne in AMC’s The Walking Dead – has been cast as Okoye: “the head of the Dora Milaje, the personal body guards of the Black Panther”. Under the direction of Creed writer-director Ryan Coogler, the much anticipated film will expand on the Black Panther character we fell in love with in this year’s Captain America: Civil War, and is expected to hit theatres in 2018. “Ryan has beautiful things in store for us”, Boseman told the crowds at Comic Con over the weekend. And we absolutely believe him. More news here as we hear it!